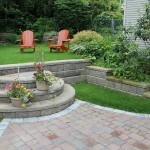 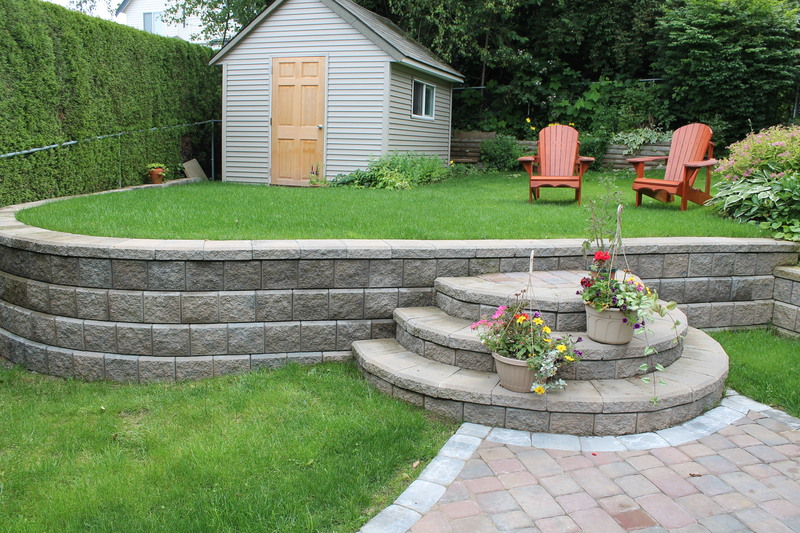 Fraser Backyard | LawnPro Landscapes LTD.
Wendy first called LawnPro Landscapes LTD to installed a retaining wall in her backyard. 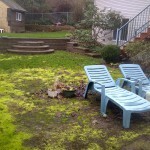 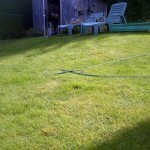 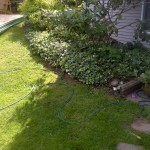 The existing lawn was very sloped and made it difficult to mow and enjoy. 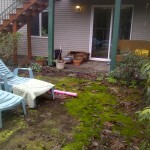 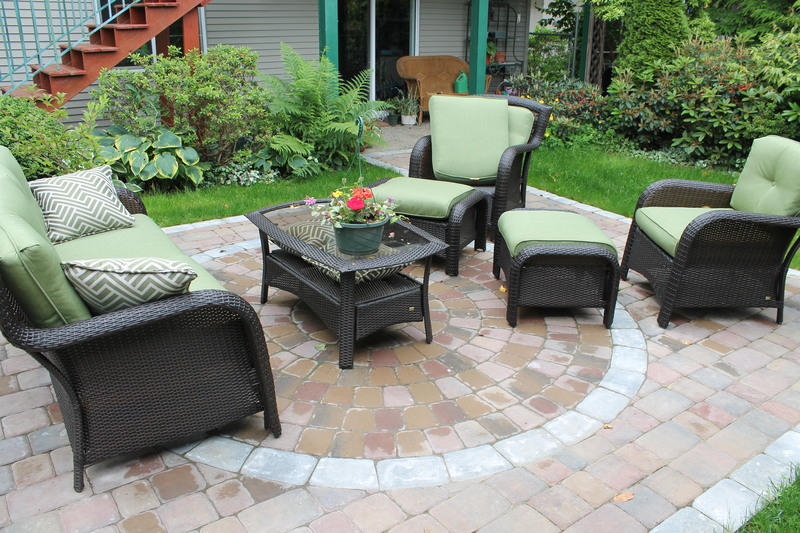 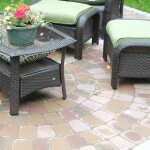 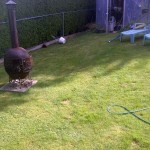 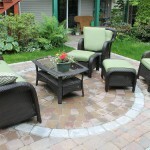 She also wanted a nice patio for lawn furniture and entertaining. 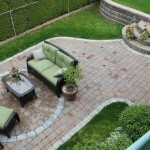 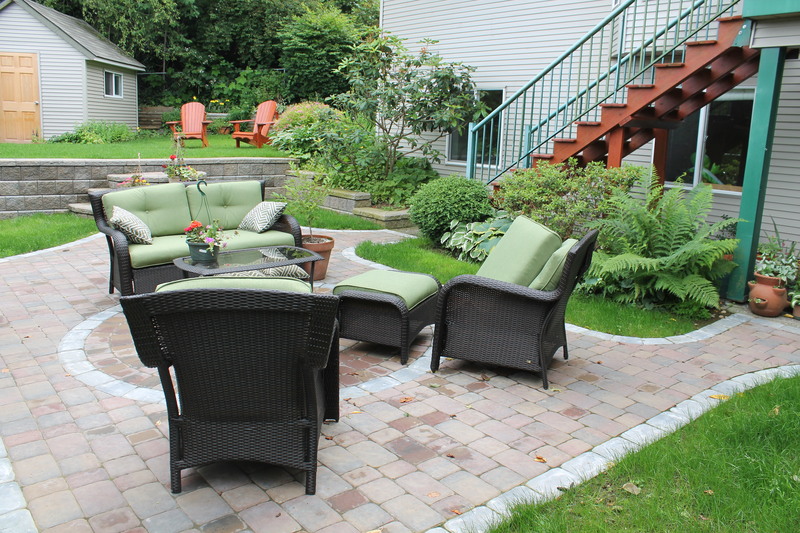 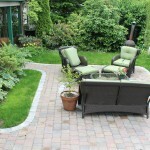 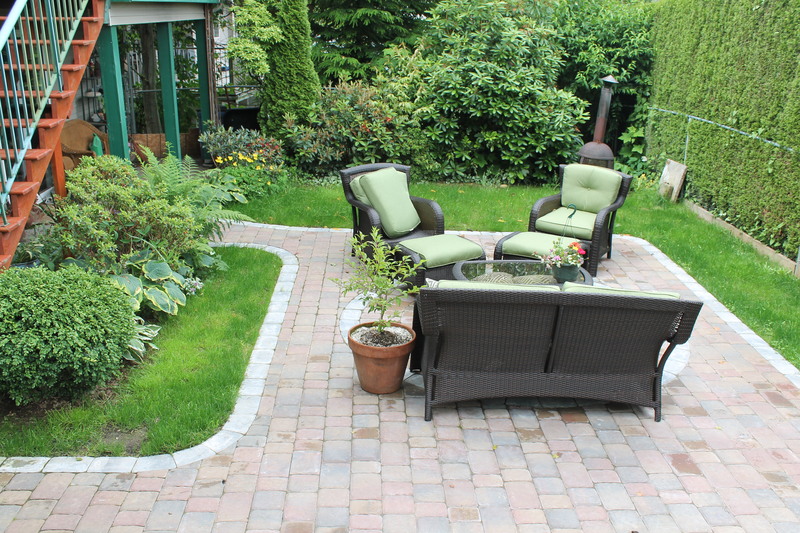 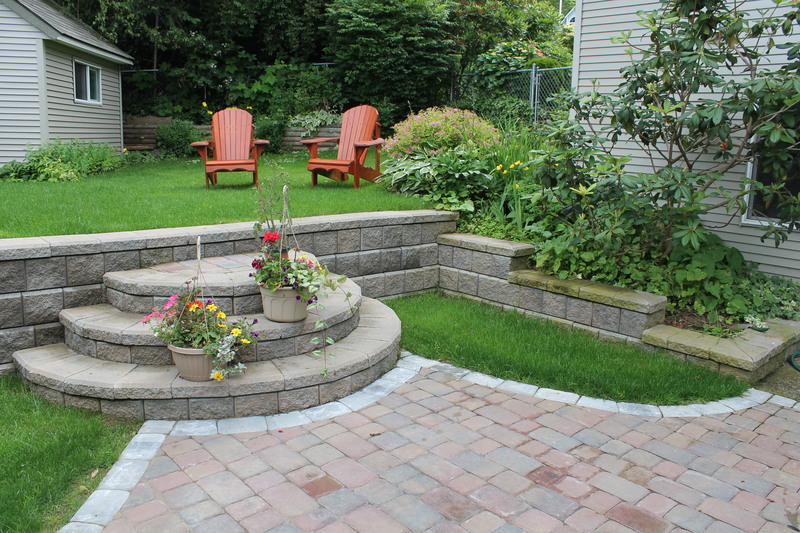 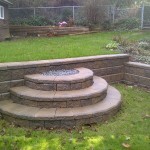 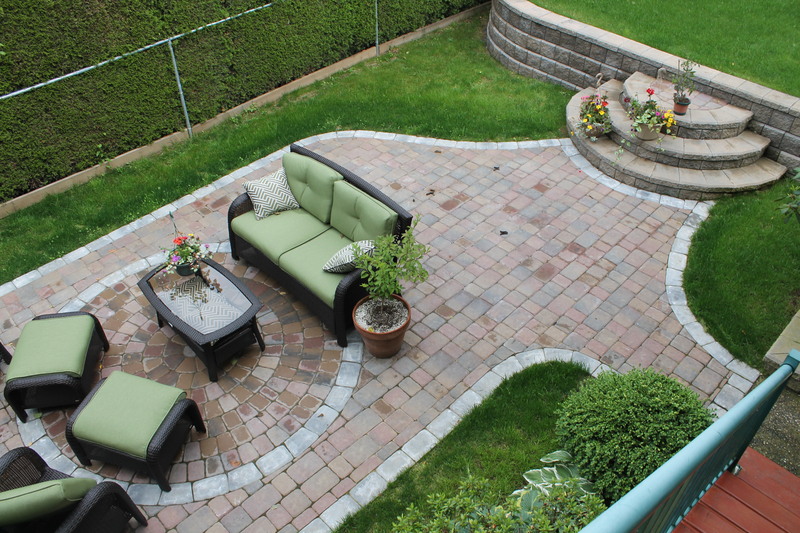 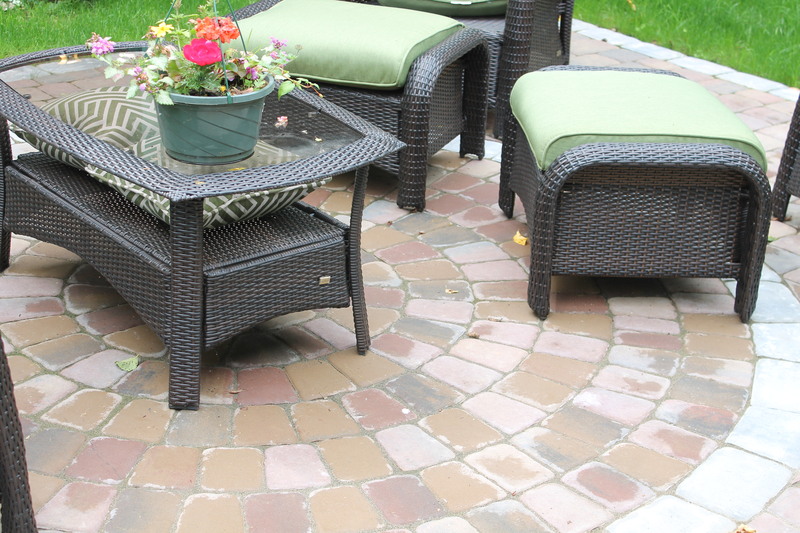 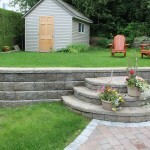 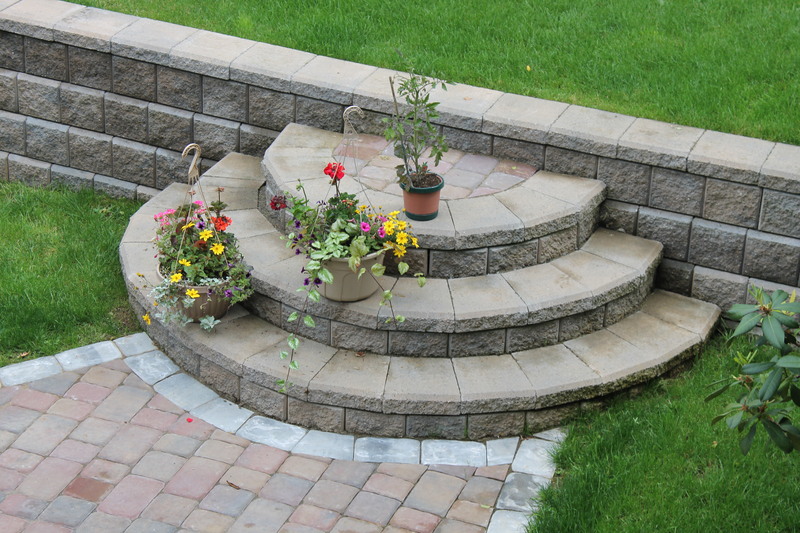 Lawnpro designed a new paving stone patio using Villa Stone that tied into a new retaining wall and staircase. 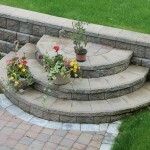 The same paving stone was used as an inset in the staircase itself. 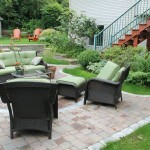 Finally the backyard was level, accessible and great for entertaining.